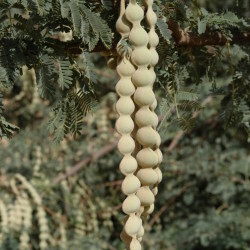 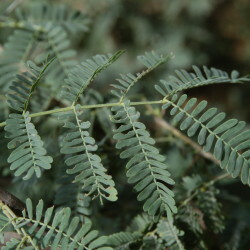 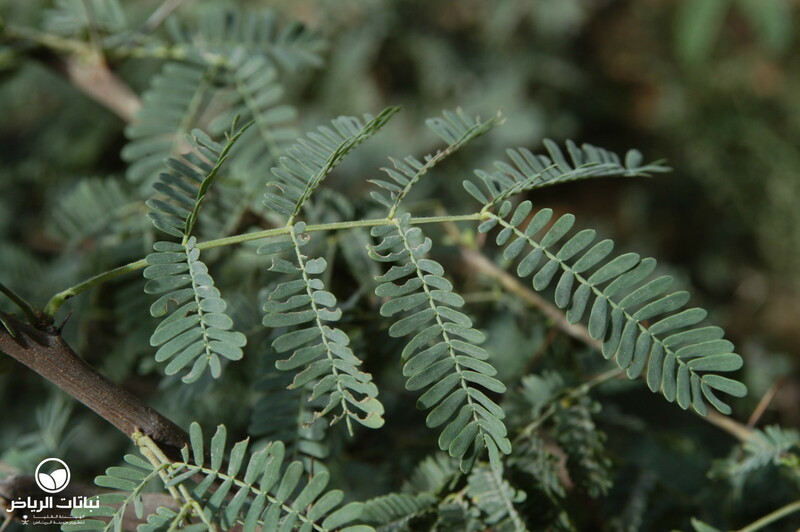 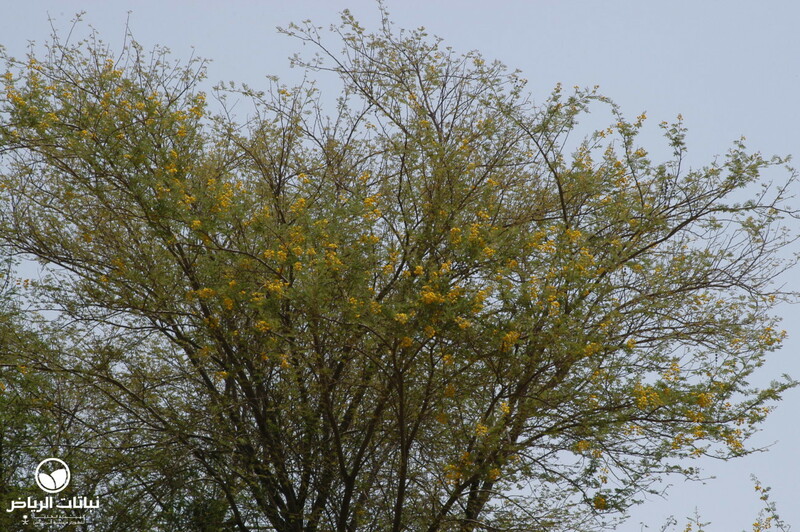 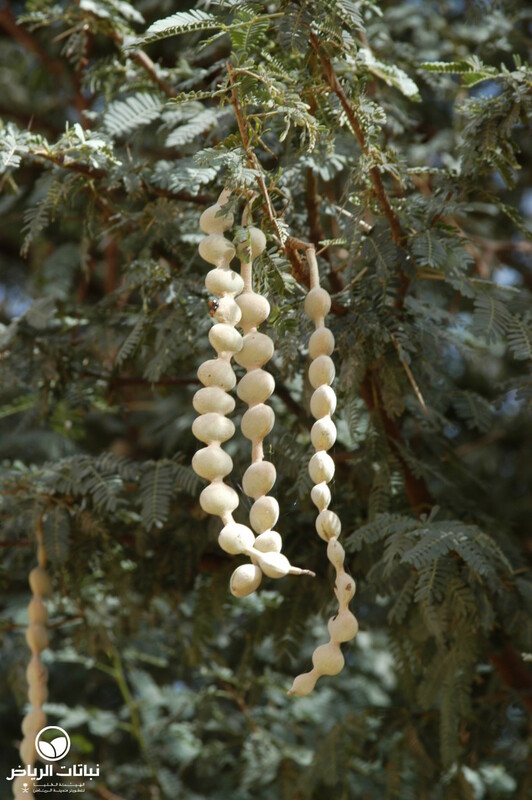 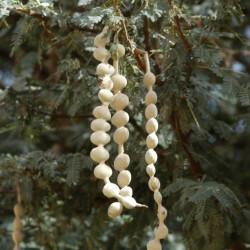 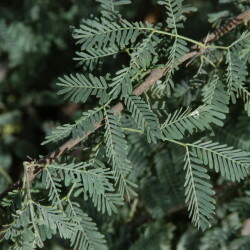 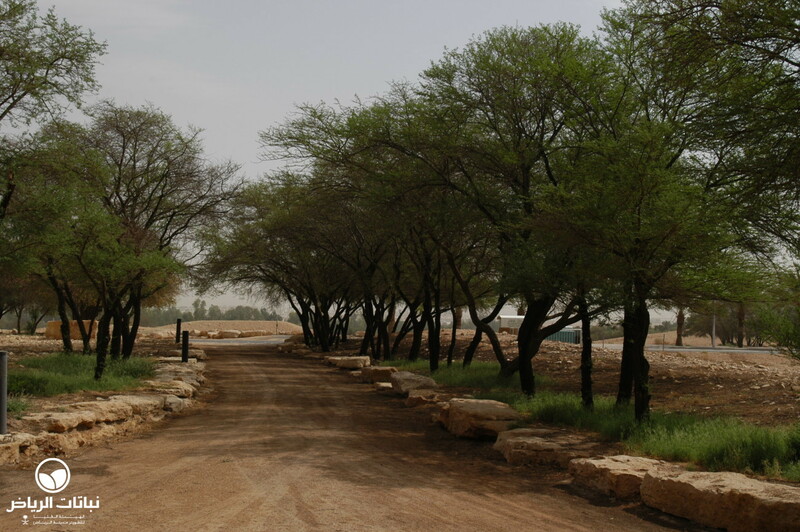 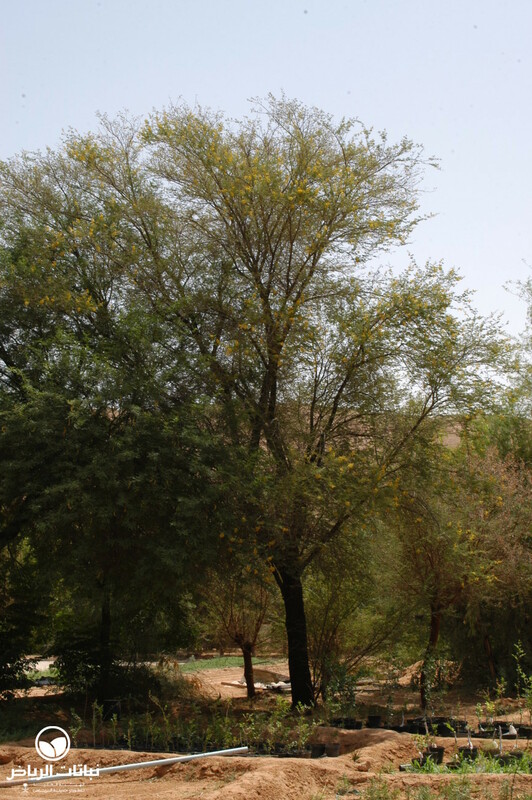 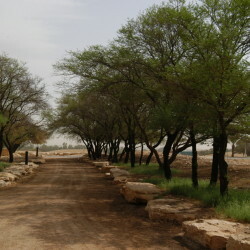 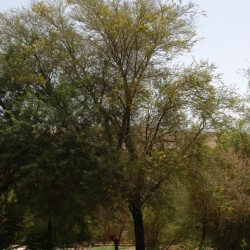 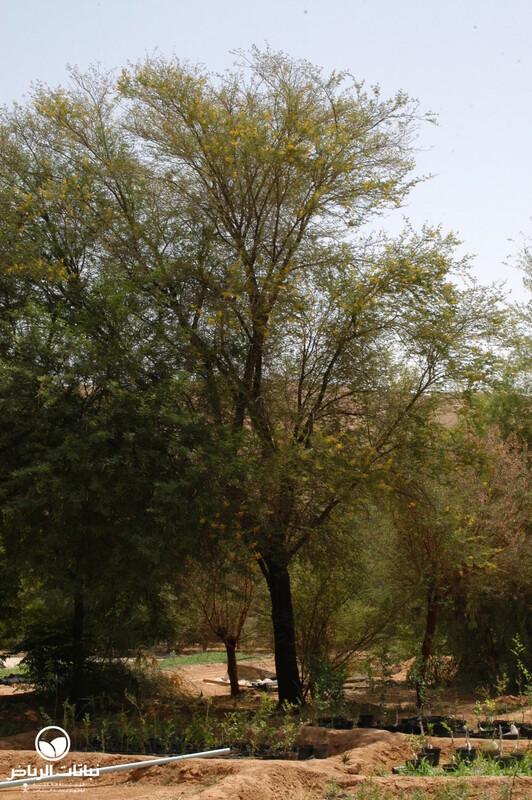 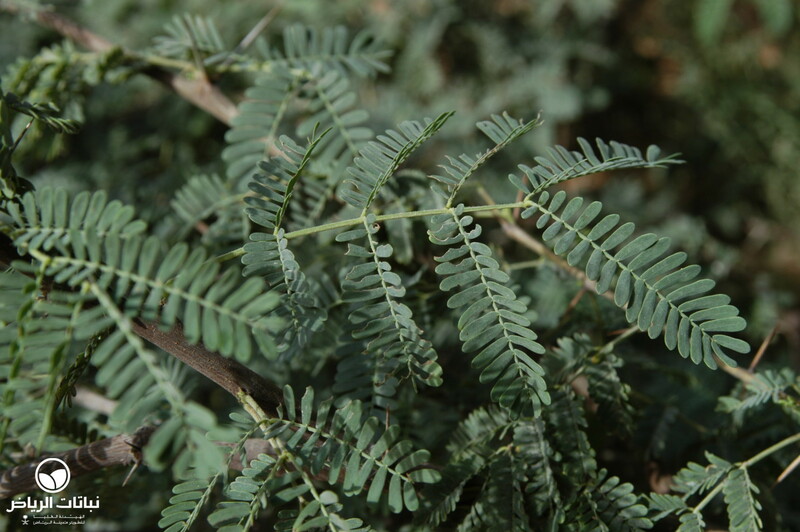 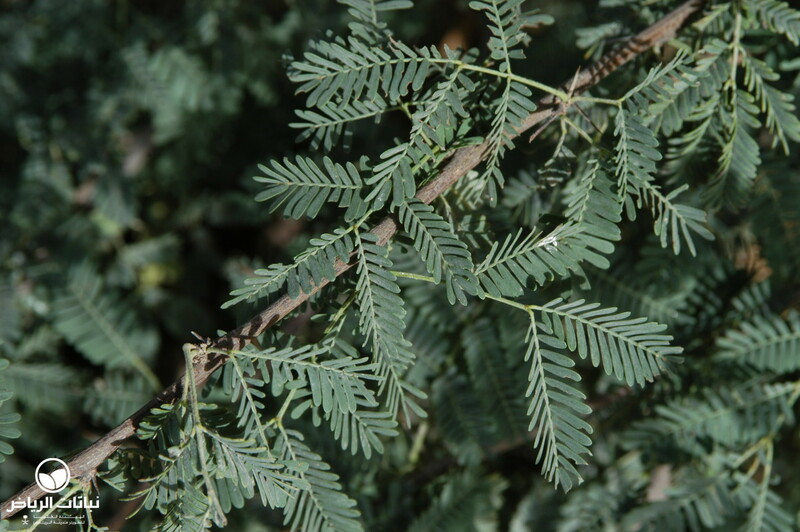 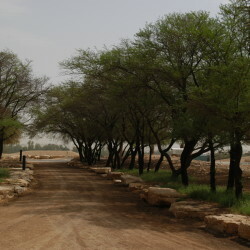 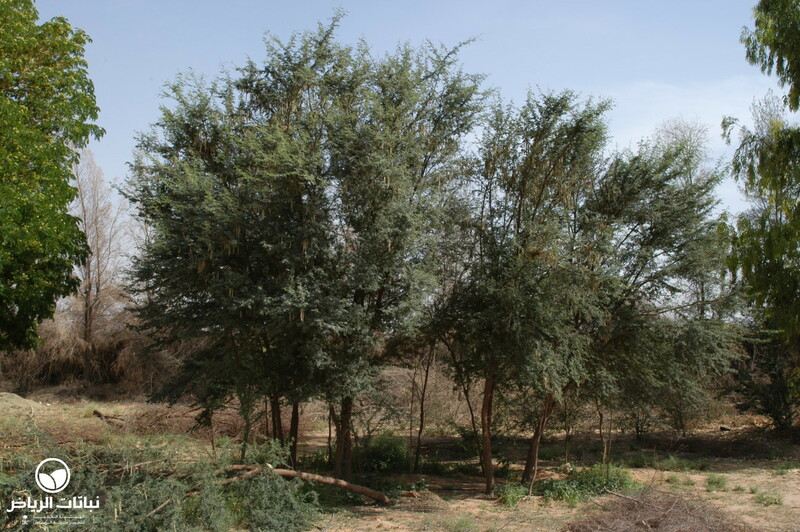 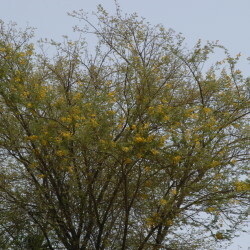 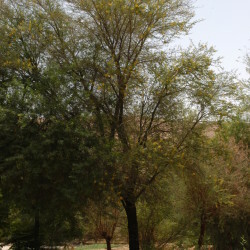 Usually referred to by its synonym, Acacia arabica or sant al arabi, owing to its occurence on the Arabian Peninsula. 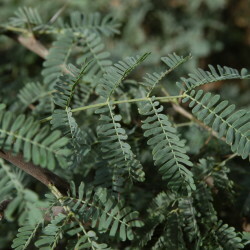 A. nilotica var. 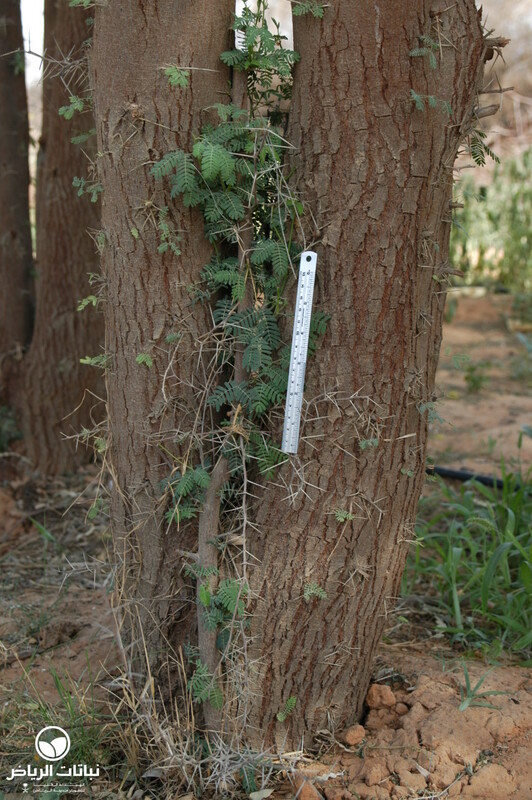 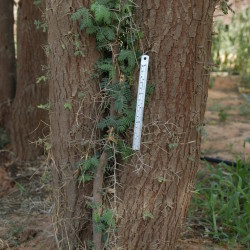 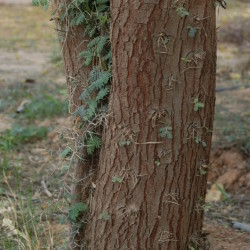 tomentosa occurs in Saudi Arabia in wadi habitats and rowdahs on sandy and alluvial soils. 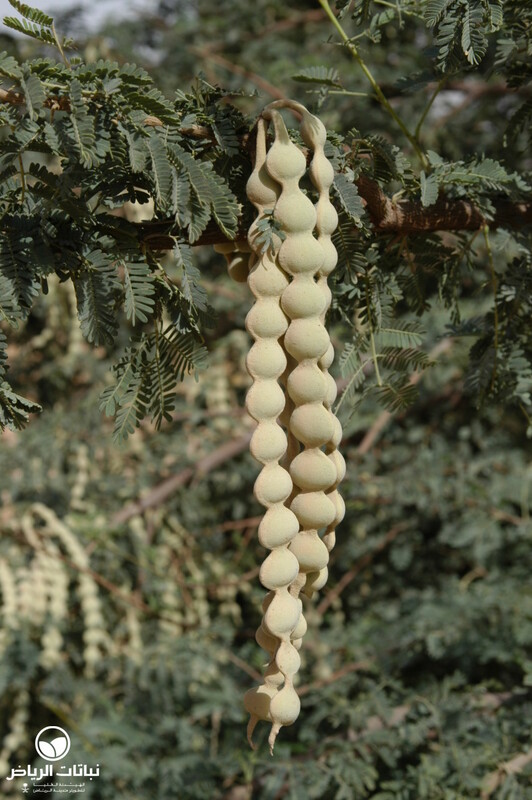 Single-stemmed, this medium-sized tree with its flattened or rounded crown is easily identified by the long, flat, straight, velvety-grey fruits with up to 12 constricted round seeds, which hang like peas in a pod. 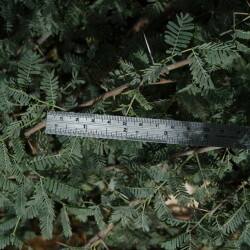 Young branchlets are densely white-tomentose. 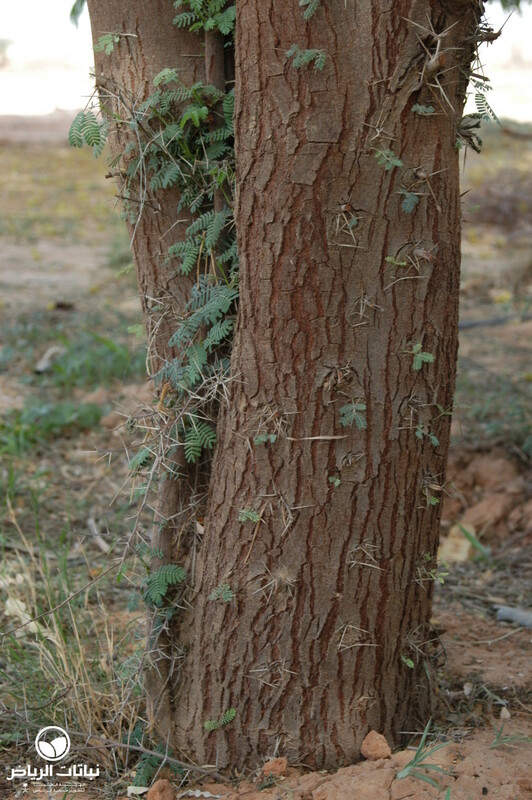 The tree typically has a black bark with cracks exposing a red inner layer, which exudes a sticky, reddish resin, well known as gum arabic. 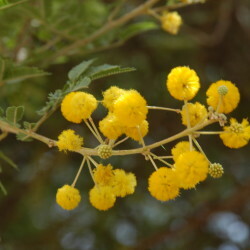 The long spines in pairs are sharp, while the leaves are only quite small: fragrant, fluffy yellow flowers appear during winter until spring. 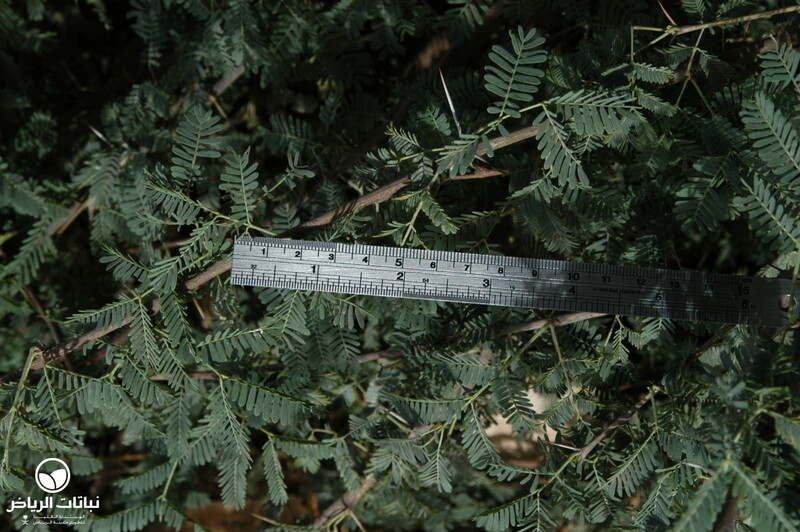 Very drought- and salt-tolerant, A. nilotica is unfortunately susceptible to freezing temperatures. 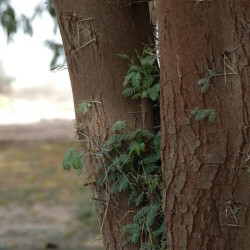 All parts of the tree have medicinal properties; its twigs are valued as chewsticks. 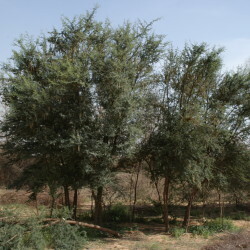 Tender pods and shoots are used as forage for camels, sheep and goats. 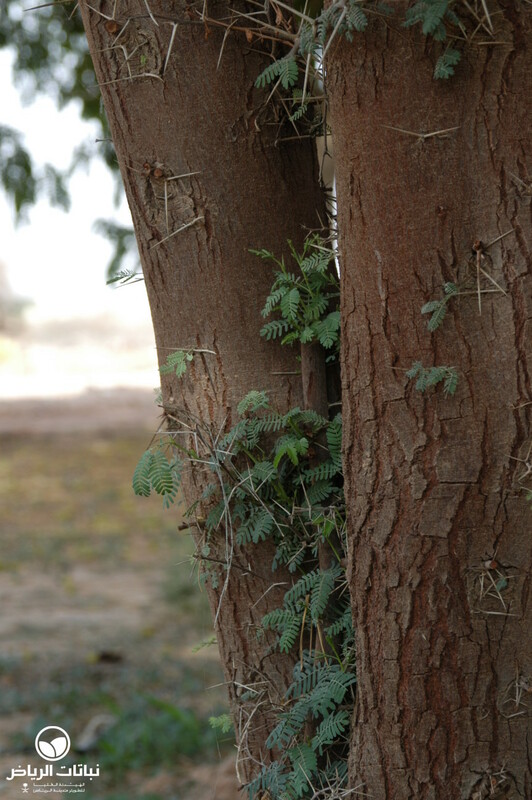 Propagated by seed, which may require scarification, direct seeding is common practice in afforestation schemes. 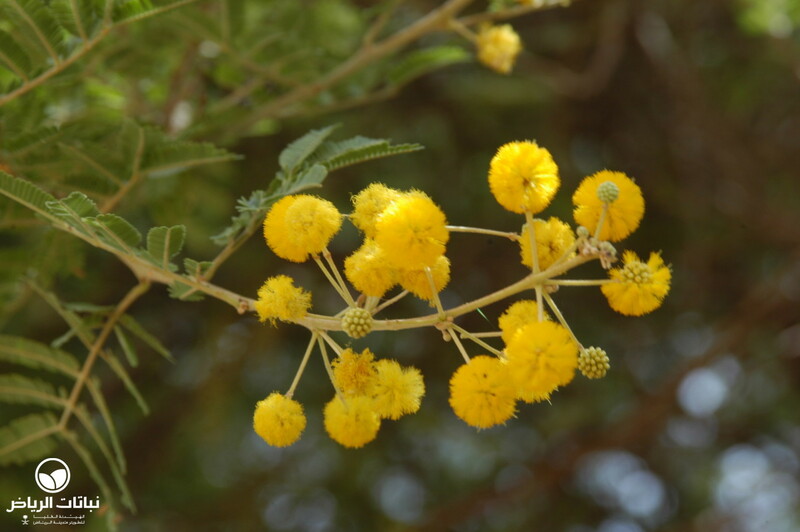 It grows rapidly in full sun, in dry, well-drained sandy or silty soils. 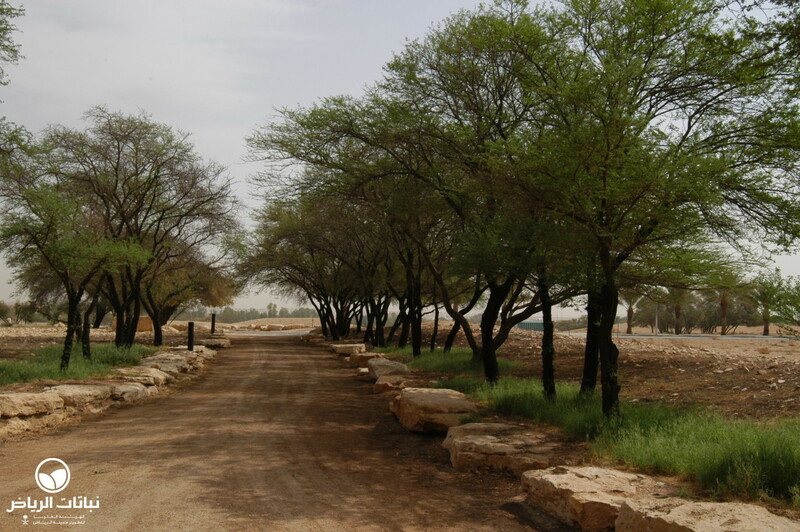 After establishment, irrigation can be reduced, whereby occasional deep watering will stimulate growth and deep roots. 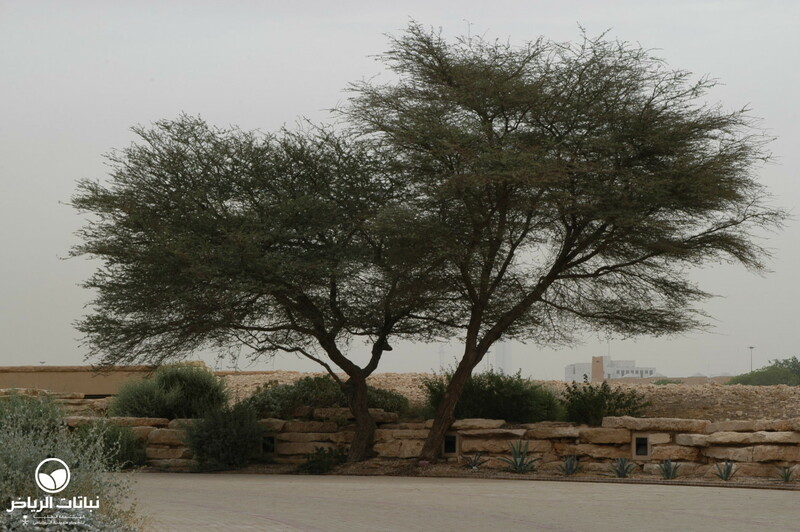 Planted as a specimen tree or in groups in a desert or extensive landscape situation, the tree, with sufficient space, makes a beautiful silhouette. 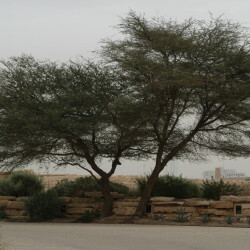 Unless frequently pruned to preserve its shape, the tree becomes leggy.